I have yet to hear of a Filipina who doesn't know what Pond's is. More so those who don't know what their Day Cream is. Or even their Cold Cream. 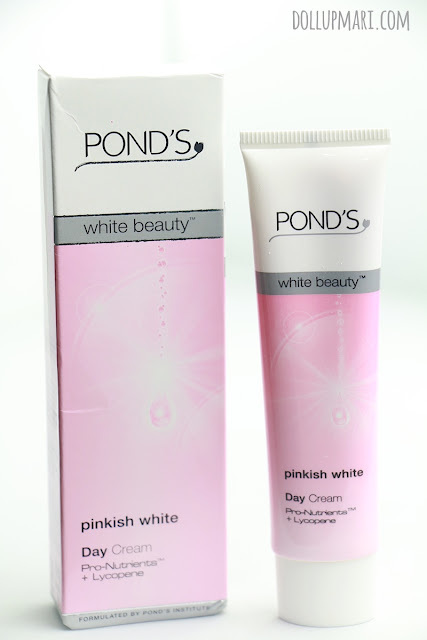 It actually amused me that when I interned at Unilever, my Singaporean friend who was assigned to Pond's was fascinated about it because as I learn, Pond's was just recently launched in Singapore. Not unlike here in the Philippines where virtually every generation of Pinoys who are alive today know what Pond's is and know what their flagship products are. This is why, for today, I'll be doing my review on their flagship powder finish day cream. The packaging is very clean and simple. It comes in a box covered with a clear cellophane wrapper. 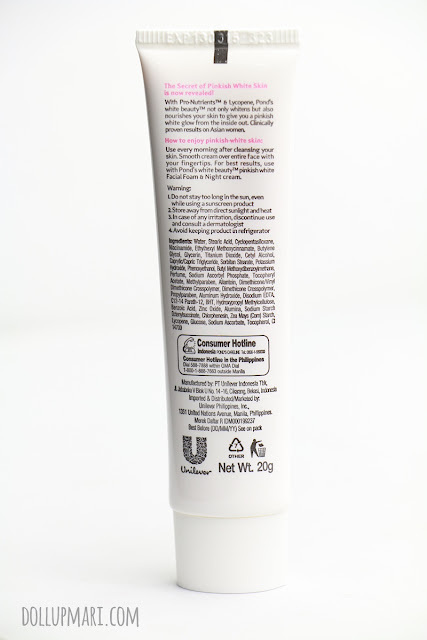 This is the small tube, which is why the box is also small. Because of their excessive advertising I think even babies know that their white beauty day cream is powered by Pro-Nutrients and Lycopene. 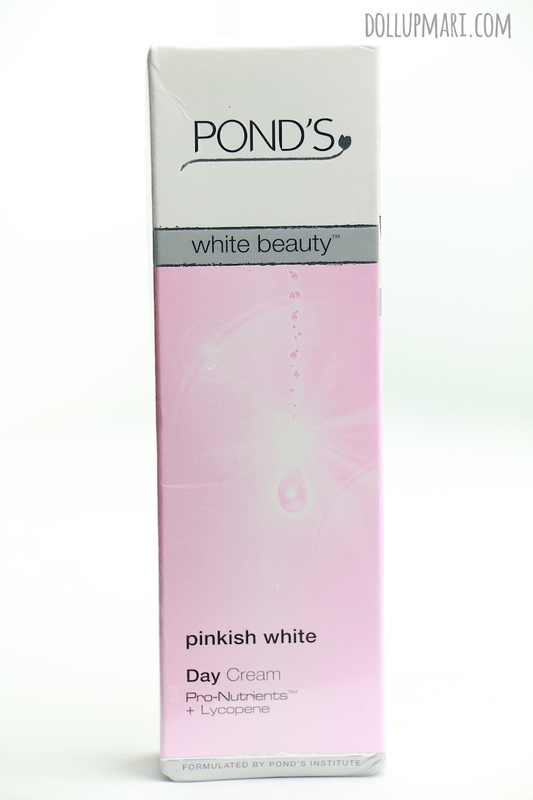 The main promise of Pond's is that it's there to give a pinkish white glow. Pale white, or spotless rosy white? Make your choice. 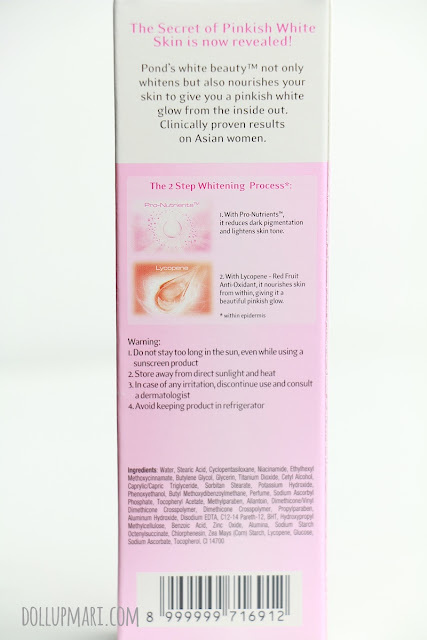 It works in a two step process, first by having Pro-Nurtients reduce dark pigmentations and lighten the skin tone, second by having Lycopene nourish the skin and give it a beautiful pinkish white glow. One of the most amusing box indications I have seen my whole life is the indication to not refrigerate the product. This practice is so us, so Pinoy. 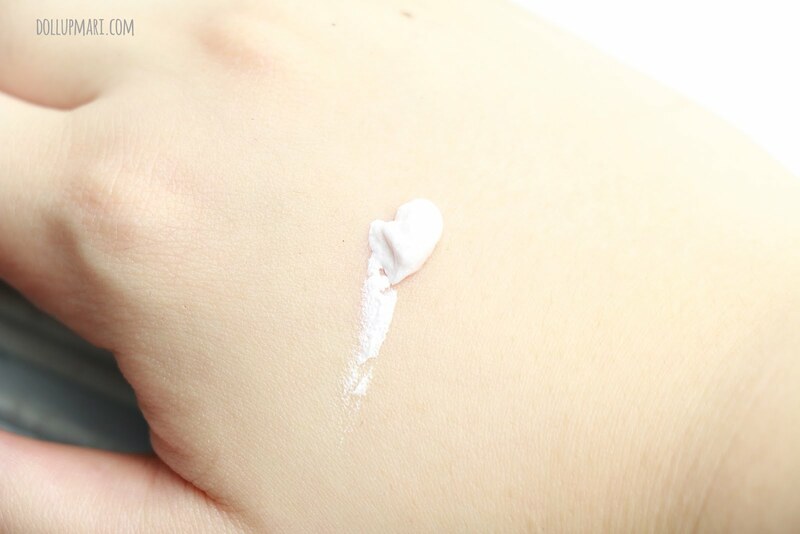 Every Pinoy household is bound to have some cream inside, be it beauty cream, burn cream, or ointment. And even those who put their lipsticks in the fridge. Very Pinoy. 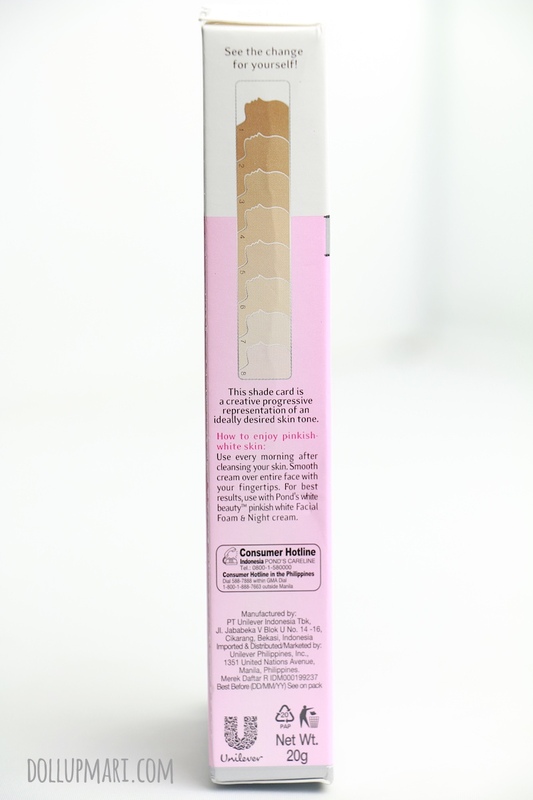 However, for this product, since it comes in a mousse formula, it's not suitable for placing in the fridge because I'm guessing that either the moisture or the cold will make the cream watery. For the curious folks out there, here are the ingredients. The cream is very fluffy and is 'firm' in the sense that it's not runny. It comes in a powder pink color. What's unique about the product is that once you spread it, it's like you're spreading powder mixed with cream onto your skin. it's got this really silky feel. 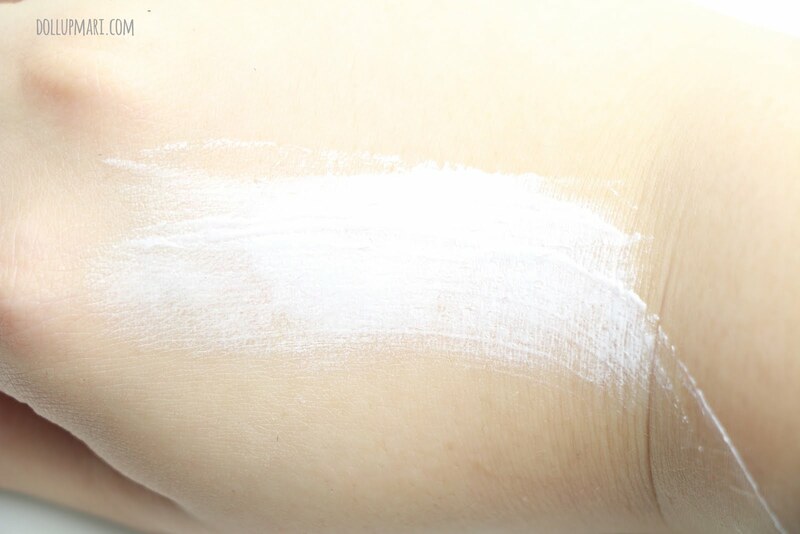 But once blended, it disappears into the skin and all you just see is the glow and feel the powder finish. This formula is amusing because it's most definitely the opposite of sticky. 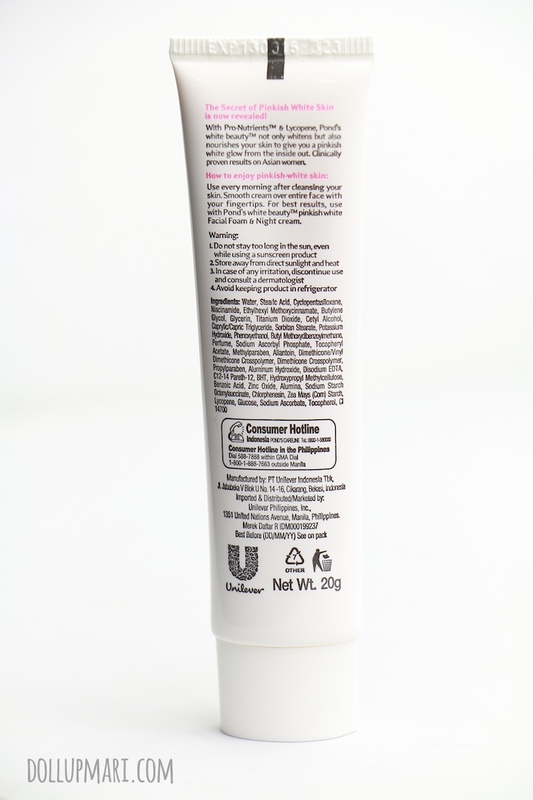 Because this cream has powder finish, I advise people to not use this without a mirror, or while sweaty. It will adhere well and give the best results to skin that's dry. 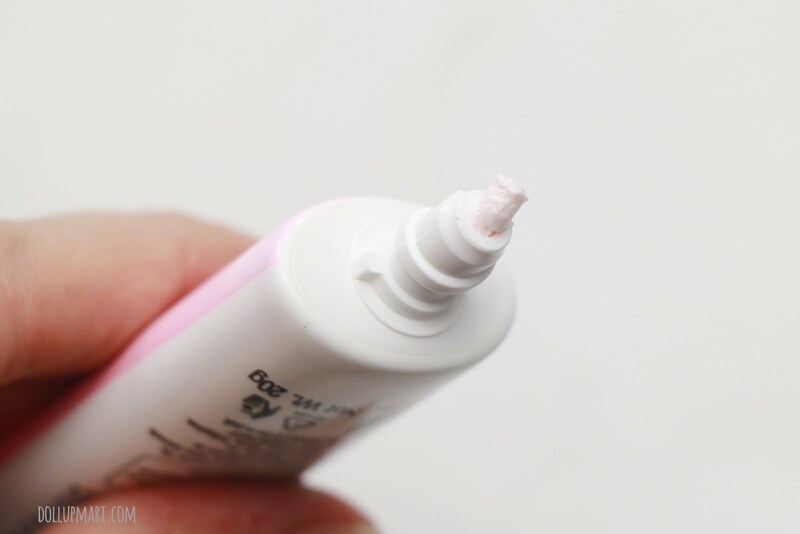 But at the same time, since this product is mousse type and it isn't as emollient as gel or cream, there is a tendency for the product to 'get stuck' in some areas of the skin, giving whitish blotches. This is why I advise people to use this product with access to a mirror. 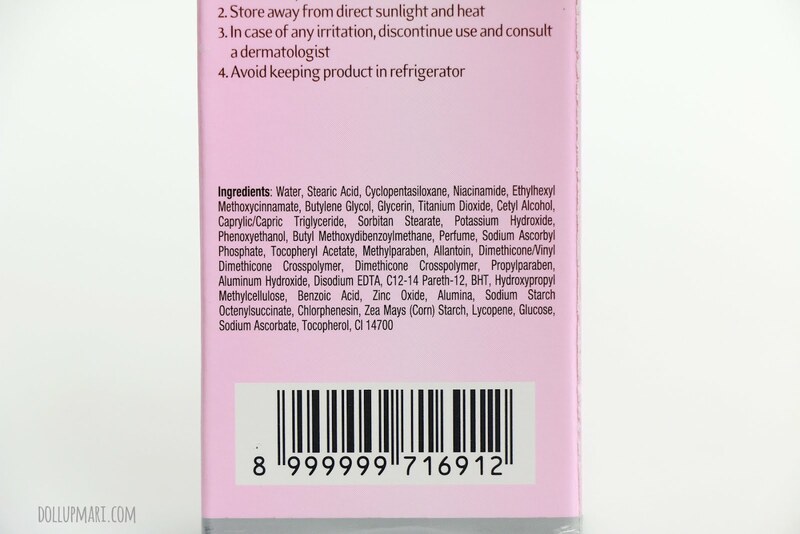 I have once tried applying this at night, not looking at the mirror, and when I woke up I was thankful I didn't scare anyone the night before because my skin had white patches all over hahahaha. But, mirror issues aside, I like how the product keeps oiliness at bay the whole day and gives the skin a nice glow. I can do away with makeup, especially when I just need to go to school, because it makes me look presentable without having to have me use too much time. I also like that when I disobey the rules and use this as a night cream, when I wake up the next day, my skin is so silky and dreamy. This is one of those creams that actually don't need any reviews because it's so affordable that the cost of failure is very low. I mostly see good feedback about this product, but even in the case that the feedback is bad, it doesn't hurt so much because it's so affordable. 20g tubes are at Php70 and 40g tubes are at Php120 only. 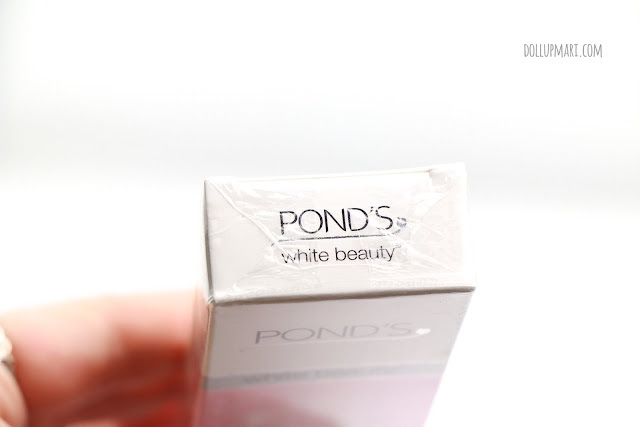 I love how Pond's gives consumers products that are so affordable yet of high quality. Get your fix from Pond's official Lazada store! 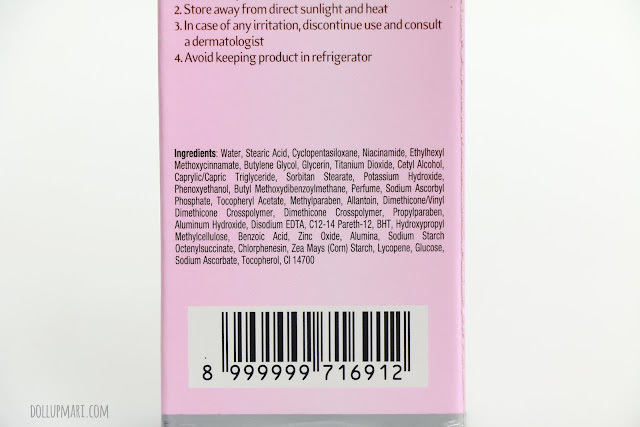 What's your drugstore brand favorite? Many individuals will do nearly anything just to accomplish a lighter skin tone, even to the degree of obtaining numerous brightening items to accomplish their objective. Most ladies and a couple of men need to have lighter skin since they have this impression of partner excellence with more white skin.